Having only 176 pages to work with, I couldn’t come close to cramming in every baseball story I wanted to tell. 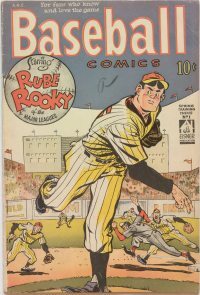 So, to get some of these regrets off my chest, I’ll post once in a while about other great baseball-related stuff I ran across while researching The Comic Book Story of Baseball…but couldn’t get into the final book. 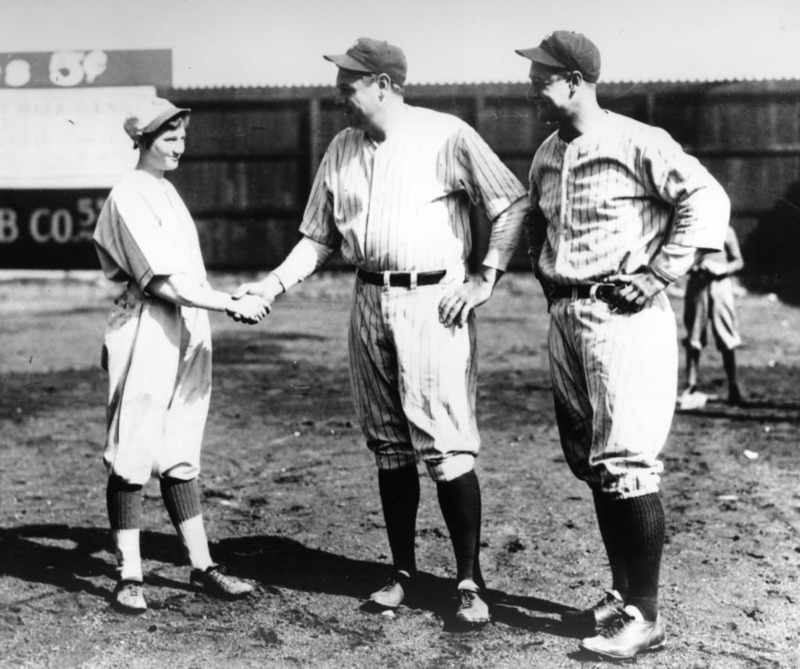 The story of Jackie Mitchell, who as a 17-year-old girl struck out Babe Ruth and Lou Gehrig in an exhibition while pitching for the AA Chattanooga Lookouts. (Although it may have been a publicity stunt.) Two years later, she would sign up for the House of David barnstorming team. Lena Blackburne Rubbing Mud, the official mud used to dirty up baseballs before they’re used in a game. The exact source of the mud is a secret. It is named after Russell “Lena” Blackburne, a manager and coach for the White Sox and Athletics, who starting applying it to balls in 1938.